Profits have returned to the oilpatch, but there is widespread concern among executives with the slow regulatory process, market access issues and higher costs compared to the United States. 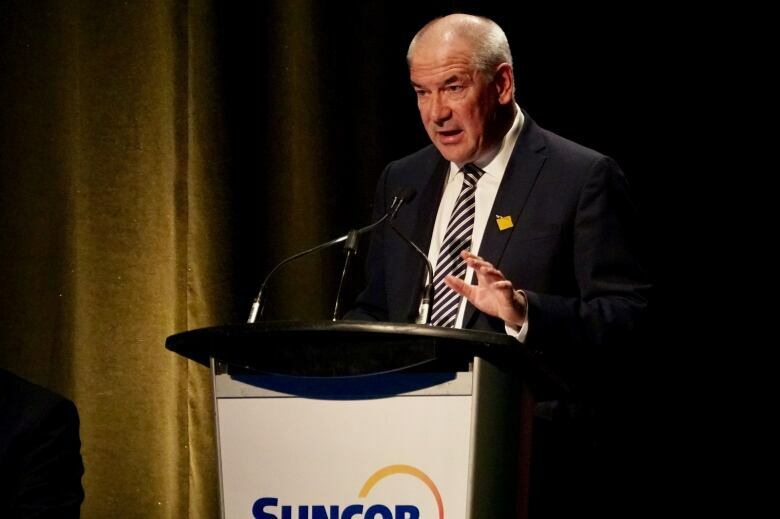 CEOs of the largest oilpatch companies are stepping up to the podium this month for their annual address to shareholders and, one by one, they are painting a picture of how uncompetitive it is to operate in Canada and attract investment dollars. Since the 2014 oil price crash, profits have returned to the oilpatch, but there is widespread concern among executives over the country's slow regulatory process, market access issues and higher costs compared to the United States. The inability to construct new oil and gas export pipelines is front and centre. "Canada remains locked in its own straitjacket," said John Chambers, president of energy investment bank GMP FirstEnergy. "Like Houdini locked in a box underwater with the time running out." Here's a look at the main reasons energy leaders say they won't invest big dollars in Canada, potentially stifling future growth. One research firm says the Canadian oil and gas industry will spend about five per cent less in 2018 than in 2017, while the U.S. sector is expected to have a 40-per-cent increase in capital spending. The National Energy Board has faced criticism for taking too long to review large resource projects and the same criticism extends to provincial regulators. Imperial Oil pointed to its proposed Aspen oilsands project in northern Alberta, which was sent to the Alberta Energy Regulator for review in December 2013. The company did alter part of the project a few years ago, but it's still waiting for the regulator's decision. "I have lived and worked in a lot of places, and four-and-a-half years to get a project that has strong economics, pace-setting environmental performance, is inordinately long," said Imperial Oil CEO Rich Kruger. "This is an illustration of the long, costly, uncertain regulatory environment that the energy industry faces in this country right now." The $4-billion project would produce 150,000 barrels of oil per day. The company says it should produce 25 per cent less greenhouse gas emissions than other steam-assisted gravity drainage projects because of its use of solvents. When TransCanada pulled the plug on the Energy East pipeline project, future regulatory delays were among the multiple reasons for its demise. The long regulatory waits aren't isolated to the oilpatch. Canada ranked 34 out of 35 OECD countries in the time required to obtain a permit for a new general construction project, according to a 2017 report by the World Bank. 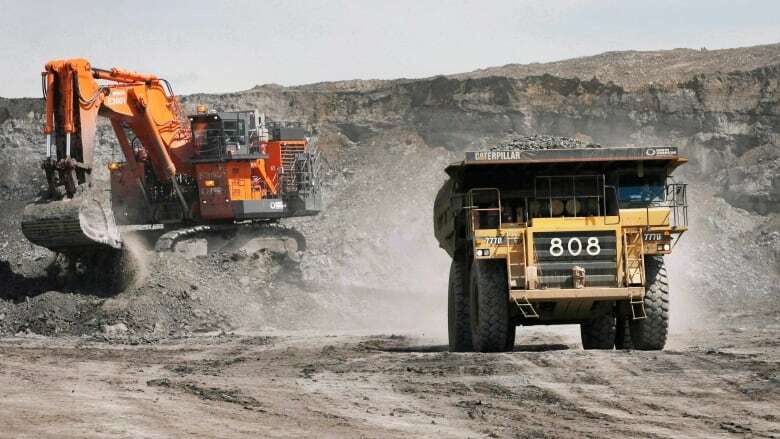 The federal government announced in February it would overhaul how large resource projects are reviewed, including more consultation with stakeholders and set timelines. Canada's largest oil producer, Suncor, boasted to shareholders that its oilsands operating costs were $18.35 US per barrel in 2017, a 10 per cent drop from 2016. Ever since the oil price crash, companies have slashed expenses. Still, the oilsands are considered a high-cost investment. The operating cost that companies discuss doesn't include other associated expenses: diluting bitumen for shipment, transportation, and head office costs. Transportation costs are steep in Alberta, compared to Texas, for example, since the oil often has to travel a great distance to reach refineries in the U.S. Midwest and Gulf Coast. Canadian Natural Resources said it often pays about $15 to ship a barrel of oil by pipeline, while Cenovus said rail costs would be $14 to $18 per barrel. Most of Canada's oil production comes from the oilsands, where the cost of new facilities runs into the billions of dollars. It's a high upfront cost for investors who can fetch a faster return in the shale oil fields of the United States, although oilsands facilities operate for decades with more consistent production. Also consider the new U.S. tax rules and regulatory reforms to see why investors favour the American oilpatch to what Canada is offering. The U.S. has lowered its overall corporate tax rate and allowed costs to be deducted over a shorter time frame. It is also in the process of gutting its environmental legislation. The limited capacity to move both oil and natural gas continues to burden the sector, with the struggle to get energy to market even forcing some companies to scale back production. Indeed, some of the sector's most prominent players — Imperial Oil, Canadian Natural Resources and Cenovus — have all made some noises to that effect in recent weeks. 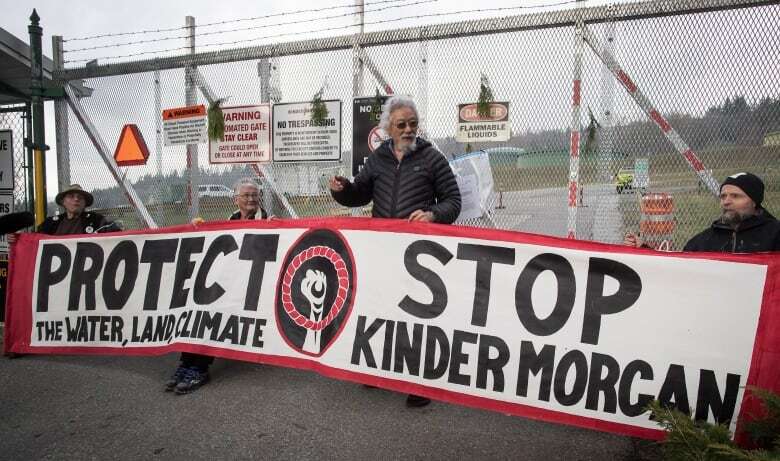 Constraints on oil shipments have grabbed most headlines as it has become part of the bitter debate for construction of the controversial Trans Mountain expansion pipeline. But natural gas shipments are also feeling the pinch. "The current system in western Canada is effectively full," said commodities analyst Martin King, with GMP FirstEnergy in Calgary. Meanwhile, the growth in the supply of natural gas from the Western Canadian Sedimentary Basin has been unprecedented in terms of scale and speed in the past 12 to 18 months, King said. The impact of transportation bottlenecks has been brutal on natural gas prices at times, even tracking into negative territory last year. On Thursday, the president of Canadian Natural Resources, the country's largest natural gas producer, said the company is not scared to scale back more gas production if it has to. But there's no quick solution to the problem of pipeline constraints. King said the system is still at least a couple of years away from adding more pipelines and being able to physically move more gas. The Alberta government is investing $1 billion in oilsands partial upgrading research, which would reduce the need for oil export pipeline space, but the technology is still under development. For years, one of the attractions of investing in the Canadian energy sector was that the country's politics and regulatory regime offered few surprises. But these days few things seem certain. Though the federal government insists that the Trans Mountain pipeline expansion will be built, anti-pipeline politicians in British Columbia aren't backing down. In a bid to push the pipeline, Alberta introduced Bill 12, giving the province sweeping discretionary powers to limit exports of crude, natural gas and gasoline to B.C. That's on top of the federal government developing legislation to overhaul the environmental assessment process for major energy projects. Though proponents say the goal is to introduce more certainty to the process, representatives of the pipeline sector have already warned Ottawa it will create "unmanageable uncertainty." Asked whether he had any concerns about the investment climate, Canadian Natural Resources president Tim McKay said, while he doesn't believe there's been an impact on his company at this time, he's aware of what others are saying. "What I see is that a lot of companies are worried about the investment climate in Canada," he said. "We understand that companies will invest in areas where you have a good fiscal environment and a good regulatory environment that they can make a return on their investment."